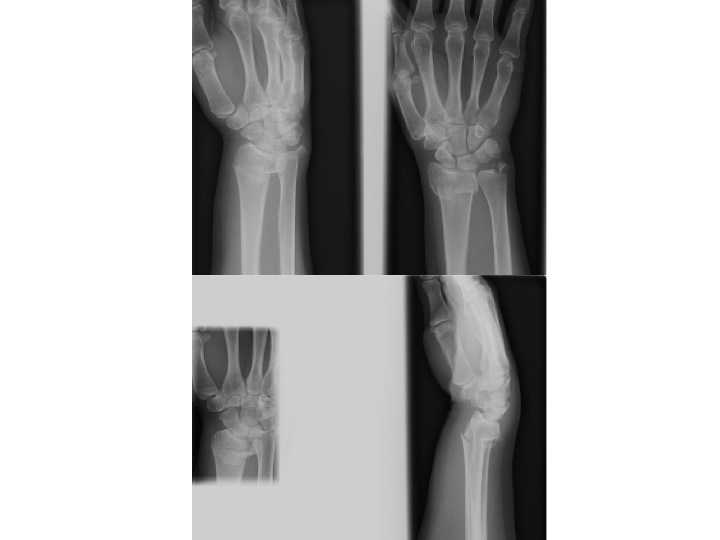 This is another example of a Colles fracture. Note the dorsal displacement and angulation. 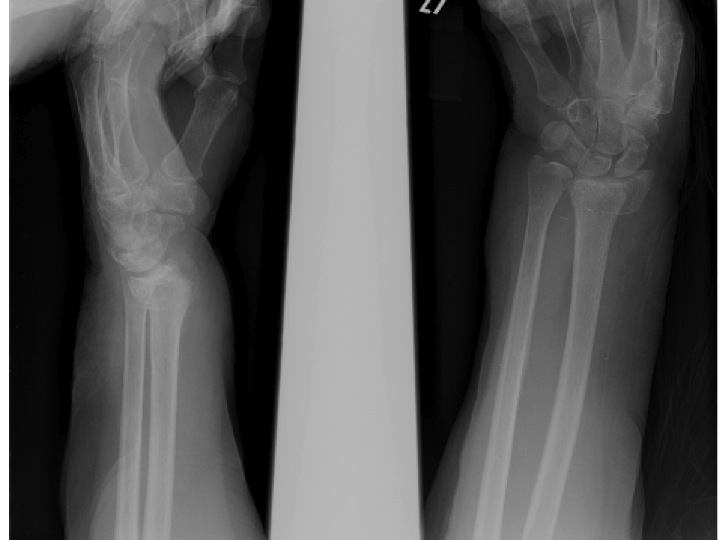 This patient sustained a fall on outstretched hand injury and has a Colles fracture in addition to an ulnar styloid fracture. Compare the fracture on all four views in order to appreciate the displacement and angulation.